Former Leicester Manager, Claudio Ranieri has returned to the Premier League as Fulham Coach after the London club sacked Slavisa Jokanovic. Raneiri, who lead Leicester to an unlikely Premier League title in 2016 has signed a multi-year contract with the club, and according to Fulham owner, Shahid Khan, "...is a risk-free and ready made for the premier league." 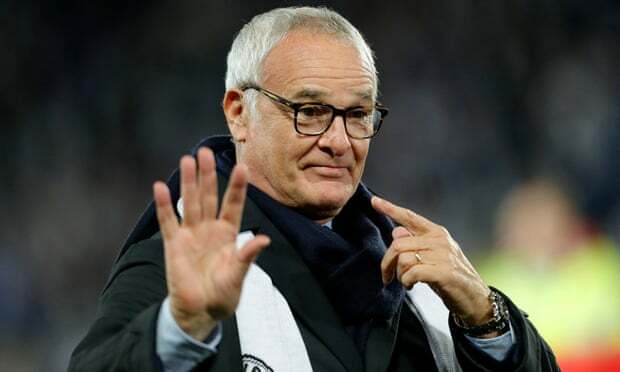 “His recent body of work with Leicester City is literally legendary and then you look at Claudio’s experience with Chelsea and big clubs throughout Europe, and it’s pretty evident we are welcoming an extraordinary football man to Fulham football club.” the club statement said. Ranieri, who left Leicester less than a year after he took them to the summit of the league said it was "an honour to accept Mr Khan's invitation." Fulham is in a dire state after picking up a mere 5 points from its opening 12 games, with the defence a major concern. Jokanovic was sacked just two weeks after Khan strongly backed him and denied rumour the former's work was in jeopardy. Ranieri left Nantes in the summer through mutual agreement after the club finished 9th in the French league.